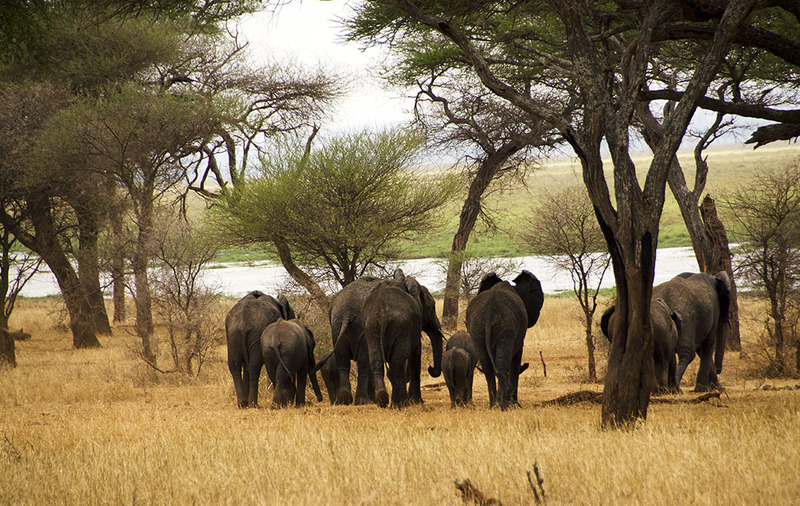 Home » Africa » Photo Essay: The Captivating Landscape Of Tarangire. Photo Essay: The Captivating Landscape Of Tarangire. Our Coastal Air flight from Kigali into the Manyara airstrip on a twelve seater Cessna, was not half as turbulent, or terrifying, as I had envisaged. George, our safari guide/driver from The Wild Source, was waiting to transport us to the first of four parks on our Northern Tanzanian safari circuit. The drive to the Nomad Kuro camp in Tarangire national park took much longer than the estimated two (plus) hours, with our gushing over every sighting of wildlife along the way, despite George’s gentle reminders that we would be seeing plenty more of the same in the coming days. We did. Especially the elephants this park is renowned for. But it was the landscape – a mix of dry woodland and wide open Savannah studded with sculptural baobabs and umbrella acacias – that we found most enthralling. We had long days planned, from sunrise to sunset. And we were surprised by how much our enjoyment of our quiet picnic breakfasts and lunches scheduled around the natural rhythm of the Silala swamp, matched that of our wild cat sightings. Happy travels…..no matter where life takes you. That’s really beautiful. I was wondering, is the weather pretty much the same there from day to day? I can’t imagine it raining, outside the rainy season, but does it get windy or anything else? Thanks David. I think it rains quite heavily during the ‘long rainy season’ from March to May. They also have shorter spells of rain in November and December. We had cloudy weather throughout and sharp showers in the Northern Mara which I think was unusual. The early rain speeded up Wildebeest migration to the North and we nearly missed the river crossings. Thanks Kat. It was indeed a long held dream for us. Beautiful. We can only hope that that habitat is preserved for all to enjoy in the years and years to come. 🙂 Thanks for sharing your photos, Madhu. I hope so too. Thanks Imelda. Hmm!!! This is a real adventure. It must been a photographer’s delight…the first picture with the backdrop of cloudy sky, the dried golden grass in the foreground and the deserted few trees makes it picture perfect…it must be framed. The camp setting is highly tempting, and top of it the lion on the top of a tree is simply enticing for a photographer and any wild life enthusiast…keep sharing these wonderful moments and we keep cherishing the pictures… Happy Travelling!!! Tarangire certainly was a photographers delight Nihar. Thank you for your visit and comment. 🙂 I hope you do. The elephants treat the camps as part of the landscape. No humans gets bothered unless they bother them in the first place. Thank you Marina. It is hard to convey the magnificence of those landcspaes in words OR pictures. Zebras and the matching black and white bird: wonderful! But then so was everything else. So many elephants. A lion. The landscape. Many thank yous. You join Doris Lessing and Karen Blixen and David Attenborough as my guides to Africa! Aww, tthank you very much Meg, that is very generous of you!! 🙂 Just happy you enjoyed my photos. Madhu, the wildlife of Africa is one of the things I’ve been dreaming to witness for so long. But for now I’m happy enough to vicariously do that through your photos. Majestic animals in such an amazing landscape! Loved the dawn photo and the tour vehicle reminded me of a similar experience in Kenya. Thanks Ian. Sunrise and sunset were particularly atmospheric times in the bush. Stunning pics … and a trip of a lifetime! Thank you for your visit and comment Paresh. Have a great day!. This is a magnificent place, Madhu. You don’t feel like coming back from such wilderness. Awesome pics. I so want to go on an African safari. I am now off to Cape Town (and Madagascar), but no elephants there I’m afraid. One day I will save up to do the safaris around east Africa. It must be strange to return to city life once you have experienced such isolation in the savannah. Thanks Lee. Yes it took effort to return to our urban pace of life. Pity you can’t squeeze in a safari in South Afica. Madagascar sounds fab. Have a wonderful time. What an incredible journey – your photographs are breathtaking. Thank you Mary. It truly was an amazing experience. You got THE trip of a lifetime, Madhu. I was watching an episode of The Amazing Race where they went to Africa and it immediately THE place I would want to be in. I highly hope that I get to go there someday. Love your images esp. of the lion. Thank you very much Uday. Hope all is well with you. Love this ~ I was just reminiscing about my trip to Kenya years ago, how I wish so much one day to return… And then I see your post, and makes me smile. Your words and photos transports me there yet again. Cheers Madhu, and enjoy a great week. Thank you Randall. I am glad you enjoyed this. Your ‘reminiscences’ were spectacular!! Have you ever done a post on how a westerner should prepare for a trip to an African country? Not yet. But I plan to set up dedicated planning and tips pages for each destination. Soon I hope 🙂 Appreciate your stopping by Allan. How wonderful! Lovely landscape indeed and I’d love the chance to observer elephants like this. Hopefully I’ll do it one day. Dividing the safari between the four parks made for variety in landscape Kathryn. Tarangire was especially lovely. I hope you do it someday. Beautiful post Madhu, and fabulous photos shot! Thanks. It is a truly beautiful place Joshi. Sounds like an incredible holiday. So glad I popped over so I could enjoy it vicariously. 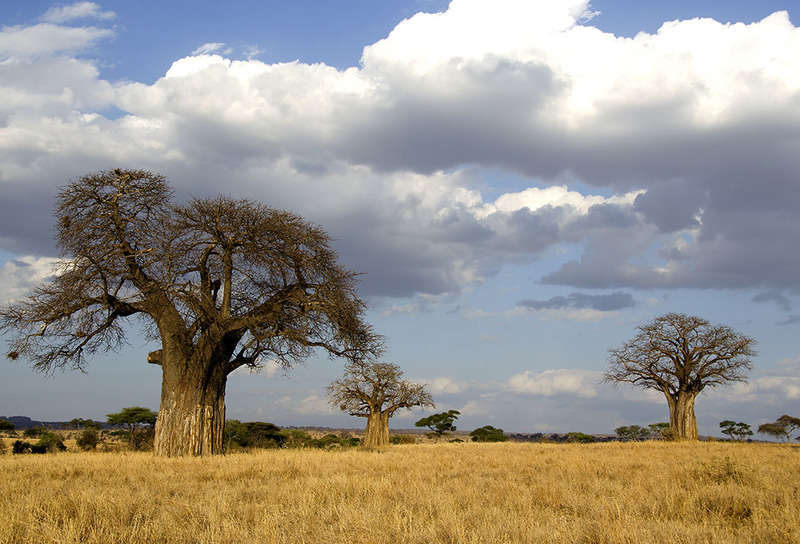 Your photos are wonderful -especially love the one with the baobab trees. Beautiful pics! They almost seem too perfect to be real I can’t imagine seeing this spot in person. How thrilling! Thanks Julainn. Tarangire is truly beautiful, and we are so glad we included it in our itinerary. The photos are unreal. I appreciate the natural rhythms you enjoyed, M.
Lovely Madhu! I’ve saved your old posts because I wanted to make sure I could get back and read them. I loved my safari in South Africa years ago and truly want to go again someday with my kids. Rwanda is really on my list too as I’d love to see those gorillas! I am so glad you could visit it and bring these perfect captures to us. I would so much like to go there some day….